Colin was one of four young boars that came to April Lodge approximately two years ago as unwanted pets. The four were split into pairs and Carol Johnson, who had already adopted two boys from us, adopted Colin along with his friend Russell. Carole put a huge amount of effort into their care and handling, returning for regular health-checks in our on site clinic. 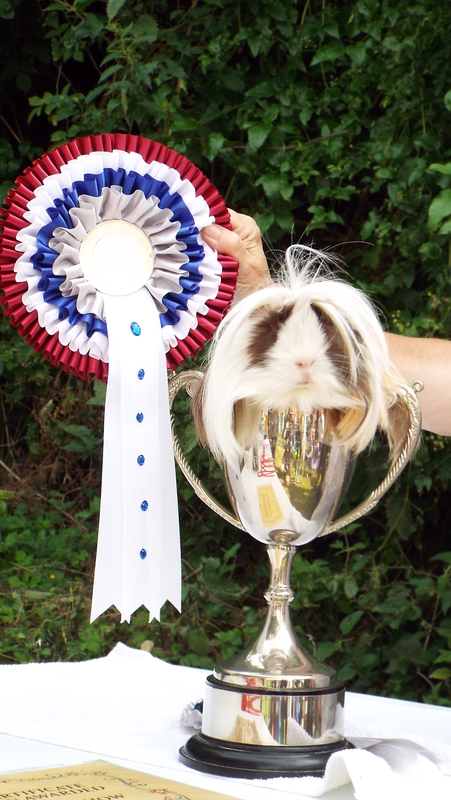 Carol had not been to any of our previous annual Open Days as her mobility is limited, but she was overjoyed at winning ‘Best Longhair’ with one of her other guinea pigs and finally ‘Best In Show’ with Colin! ← The September issue of ‘Jeepers Squeakers!’ is out now!